Claiming NHS Continuing Healthcare in the UK is an uphill struggle. Our expert Roger Burgess explains why it’s so important to ensure an independent coordinator is appointed. Note: This article was originally published in February 2016, and the Framework it discusses has since been updated. While much of this article is still relevant, there have been some changes. Writer Roger Burgess gives examples of these at the end of this post. Despite the complications, Roger still believes it is important and worthwhile to make a claim, and continues to be happy to help individuals argue their case. Find out more about NHS Continuing Healthcare and why your parent might claim it if they have complex health needs by reading Roger’s first two articles. Download the latest version of National Framework for NHS Continuing Healthcare & NHS Funded Nursing Care and have it to hand. Many individuals go into their assessments for NHS Continuing Healthcare (CHC) with very limited or no understanding of the procedures. The coordinator’s role in the CHC assessment procedure is a vital part of that process. They should ensure that the individuals and/or their representatives receive a clear and proper understanding of how the continuing healthcare system works. The coordinator has a duty of care towards the individual and their representatives, keeping them informed on all points shown on page 71 paragraph 26.4 of the National Framework for NHS Continuing Healthcare & NHS Funded Nursing Care. They should schedule the Multi-Disciplinary Team (MDT) meeting and ensure that a fair, robust and above all transparent assessment takes place, whilst also ensuring that the framework is being adhered to at all times. When a coordinator is assigned they can help control most of the assessment complaints that can lead to unnecessary conflict between NHS/CHC staff and the individuals or their family members, as well as creating additional and unnecessary stress on the patients themselves. However, there appears to be certain influences at work within some NHS/CHC areas that insist on trying to move goal posts, often creating flawed policy in their wake. This then starts to create even more problems and complex issues, which involves further time-consuming and costly interventions to resolve. Many complaints could be avoided simply by ensuring that MDT members carry out their duties correctly and in accordance with the framework, by, for example, ensuring that at least two member from different NHS disciplines attend the meeting in order to form part of a legitimate MDT. Sadly this is not always the case. Once again this should be part of the coordinator’s role as they also has a duty to attend the meeting themselves. Failure to attend and assume their proper responsible position means that they are unable to comply with page 15 paragraph 34 of the Decision Support Tool. Page 71 paragraph 26.3 of the Framework explains how there should be an appropriate separation between the coordinator and those responsible for making the final decision on eligibility. (In this respect the decision makers are of course the MDT members, because they make the recommendations which the CCG’s should accept, “except in exceptional circumstances”). It is thereforethe duty of the CCG to ensure that this appropriate separation is maintained. It is the duty of the coordinator to present the signed DST along with its recommendations to the CCG panel for final confirmation. As mentioned earlier, when the MDT recommendation is received by the CCG they should accept that recommendation. Only in exceptional circumstances would this not apply, for example, incomplete domain information to support a particular care need. However, if the coordinator is carrying out their function correctly they would ensure that all necessary information pertaining to the individual has been gathered from all potential sources prior to the meeting -normally a 28 day period allows for this to take place prior to the MDT meeting. Therefore problems of this nature should not arise. This is just another reason why it is so important to have a coordinator assigned to each case. According to the NHS continuing healthcare ‘Governance and Assurance’, the process to determine eligibility for NHS funding under continuing healthcare is defined in the national framework and associated tools. These are the processes that must be applied in all cases when determining eligibility and there should be no deviation from them. Everyone retains the right of appeal against a decision made by the MDT members or the CCG panel and there are procedures and timetables in place for this phase of the eligibility process. However, it can sometimes be confusing and individuals are often left to find out for themselves, or in many cases they just don’t appeal. As stated earlier, if the coordinator carried out their duties as required in accordance with the framework, there would be less room for errors or complaints from the individual or their representatives, which in turn would save the NHS so much valuable time and money. Until the National Framework is officially amended, the coordinator will continue to be the key to the Continuing Healthcare structure. Without the assignment of a coordinator, the whole CHC process will fail in its legitimacy to function in accordance with the Framework. Once a recommendation has been made for a full assessment to take place, no individual should be denied or not provided with full access to the services of a coordinator. Otherwise the system is in danger of failing to operate correctly and many unforeseen and unnecessary problems will no doubt start to emerge throughout the assessment process. The National framework and its associated tools are underpinned by legally binding directions and standing rules. This is laid down in the NHS England “Guide for Health and Social Care Practitioners” publication, page 4 Para 2.4 refers. In this update, Roger offers the following examples of how the Framework has changed and his views on this. 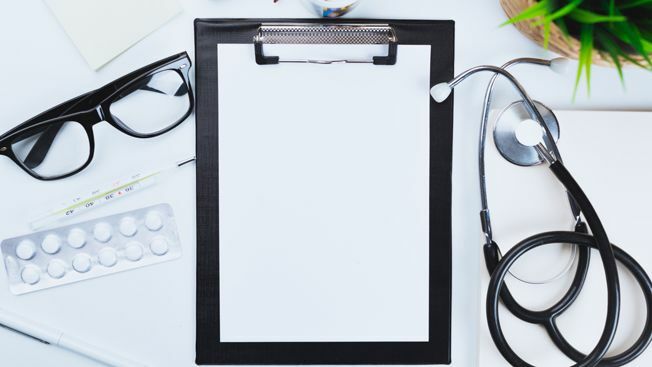 There have been a few changes to NHS Continuing Healthcare since the revised publication of the 2018 National framework. Although these changes may be regarded as minor changes, the words have been re-arranged, and this makes some of the process even more confusing. I will give you two examples of this. Example 1. Page 115 Para 20.2 of the revised framework states that care should be taken by CCGs to ensure an appropriate separation between the coordinator function and those responsible for making a final decision on eligibility for NHS Continuing Healthcare. However, most CCGs will advise that it is the ‘CCG Panel’ that make the final decision and not the MDT, and for this reason the coordinator is not necessarily required to be impartial. Page 45 of the revised Framework Para 153 states that only in exceptional circumstances, and for clearly articulated reasons, should the multidisciplinary team’s recommendation not be followed. Paragraph 154 of the Framework states that the CCG should not refer a case back, or decide not to accept a recommendation, simply because the multidisciplinary team has made a recommendation that differs from the one that those who are involved in making the final decision would have made, based on the same evidence. This would then suggest that it is the MDT’s recommendation that make the final decision, unless of course there are any exceptional circumstances, Para 154 could suggest otherwise. It would appear that pages 45 and 115 of the National Framework conflict with each other. Example 2. Page 119 of the revised framework Para 25.1 says that some have asked whether this means that the ‘coordinator’ cannot actually be a member of the MDT. If this were the case it would always be necessary to have a minimum of two professionals from different healthcare professions, or one from healthcare and one from social care, in addition to the coordinator. It is recognised that in many situations this would raise significant practical difficulties in convening a properly constituted MDT. I have always maintained that there should be a minimum of three professionals involved and one should always remain impartial. That is fair and reasonable and also democratic, but the NHS argue that they can’t afford to provide one more professional. What a disgrace, when we are dealing with individuals with potentially ‘Primary health Needs’. According to the Universal Dictionary the word ‘constitute’ means to give ‘Legal Form to an Assembly’, therefore the above statement on page 119 of the National Framework is actually admitting that in many situations, (that means all situations), the MDT meeting/assembly will consist of some form of illegality. In other words it is flawed before it begins. Roger Burgess is happy to answer any questions you might have on NHS Continuing Healthcare. You can contact him by email on [email protected] or by calling 01288 381397 or 07798 902693.